Description: Dr. Tracy McPherson of NORC at the University of Chicago will review the newly-released Adolescent SBIRT Instructor's Toolkit for Social Work, Nursing, and Other Educators. Available at no cost to educators and practitioners in all disciplines and settings, the toolkit includes the Learner’s Guide to Adolescent SBIRT and companion slide decks to teach the skills needed to screen and intervene with adolescents who engage in substance use. Dr. McPherson will also describe a separate, complementary interactive web-based program that allows learners to practice and receive feedback on their use of brief intervention and motivational interviewing skills. This Toolkit was funded by the Conrad N. Hilton Foundation and developed by NORC, Kognito, the Council on Social Work Education, and the American Association of Colleges of Nursing. Learn more about the project at sbirt.webs.com. Presented by: Dr. ​Tracy McPherson is a Senior Research Scientist in the Public Health Department at NORC at the University of Chicago. She is the Evaluation, Training, and Technical Assistance Lead on NORC’s SBIRT projects including the National SBIRT ATTC directed by IRETA. Dr. McPherson leads learning collaboratives focused on improving access to screening, brief intervention, referral to treatment and follow-up care for risky alcohol, drug, and prescription medication use. For more than 15 years she has led substance use and mental health prevention/early intervention projects funded by government agencies and foundations. 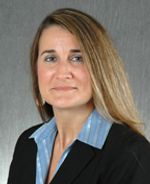 Her work has focused on translating research into practice - assisting medical and behavioral health organizations implement clinical practice informed by scientific evidence, build workforce capacity, and evaluate the impact of practice change. Dr. McPherson holds a PhD in Applied Social Psychology from The George Washington University.